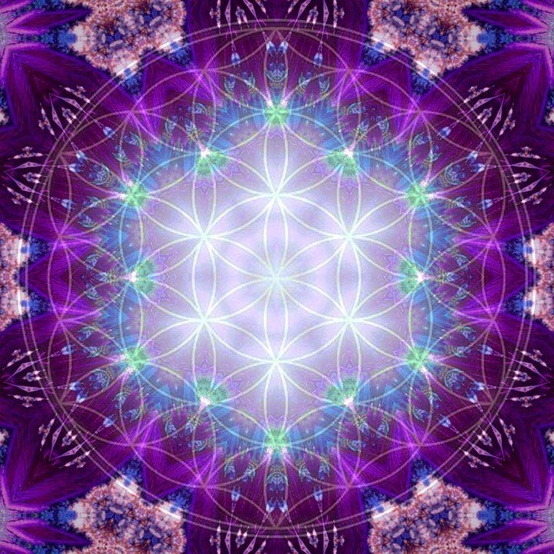 The intensity of this now moment is intensifying even further as the actual moment for your awakening moves ever closer. The excitement and enthusiasm mount, and restraint is becoming increasingly difficult because this magnificent event, which has been planned for so long, is almost upon us. Yet, to most of you on Earth at this time, it in many ways appears to be business as usual as reports of scandals, conflicts – on many levels of society and in many areas of the world – and disasters of various kinds continue to occupy the mainstream media. The wonderful changes that are occurring in many areas are barely noticed, let alone reported on – but that is most definitely set to change! The changes are of a spiritual nature, but they are very visible because they are demonstrated by the changes in attitude, thought, dialogue, and behavior that have already occurred. They have occurred because of the spiritual changes that so many of you are undergoing, as your spiritual evolution advances rapidly due to your intent for this to happen, and because of the limitless assistance that you are receiving from those in the spiritual realms. You have asked for help, you are receiving an abundance of it, and the results are indeed phenomenal. You, who are reading or listening to this message, know that enormous changes for the benefit of all humanity, and for the Earth that supports your human existence, are happening at an increasing rate as the assistance necessary to bring them into effect strengthens and intensifies. The more you focus on bringing your own spiritual essence into action on behalf of the human awakening process the more powerful and effective your efforts to bring it about become. This is your task, this is why you are on Earth at this time. You all chose to be involved in this mass awakening, and without you it could not happen. Do not underestimate the importance of your presence or the significance of the task that you have so willingly and lovingly undertaken. Without you it could not happen, which is why you are so honored in the spiritual realms – even though some of you occasionally even doubt the existence of a loving God! You chose to be on Earth to help, and being on Earth means that you have accepted an enormous memory loss to enable you to experience the same kind of confusion as the sleepers you have come to help. Like them you feel lost and confused, but with a deep underlying sense that you have a divine purpose, which of course you have. That sense of purpose is breaking through most positively into your conscious awareness at precisely the most appropriate moment so that it can assist you to assist others. And with it comes a more conscious knowing that you are most definitely on the right path and doing what you came to do. The full understanding of what you are on Earth to do is still not clear to you because the illusion is a very foggy place! Rest assured that you are responding magnificently to the demands that are being made on you, and that progress towards the awakening is moving rapidly and most effectively forwards. Keep on keeping on! You are doing a most fantastic job, and a successful conclusion to your demanding endeavors on the Earth plane is inevitable. Remind yourselves regularly that what you are presently experiencing is illusory, and one sign that is highly indicative of that is the fact that every single one of you perceives life differently. No two of you have exactly the same views, beliefs, or opinions, and that fact, when expanded to the whole planetary population, explains why you have such an impossible task ahead of you in trying to establish peace on Earth. The ego is the stumbling-block, and what a block it is! It was the first step in building the sense of separation, of aloneness that the illusion provides. That naturally led to intense fear which in turn led to mistrust. Being loving – which is an act of will – in every situation is the way to disarm the ego. However, the ego resists . . . sometimes very forcefully indeed. What is happening now on Earth is an enormous inflowing of Love which is affecting every human, and breaking through into their conscious awareness, and insisting that they question and reassess all their opinions and beliefs. And for most of you that is extremely unsettling. The ego has been your home, your castle, the place to which you retreated when threatened, and from which you judged and blamed others for your fear, pain, and misery. The Love entering your hearts is showing you very clearly that this is not so, that your problems, anxieties, and fears are all self-imposed. You see it quite clearly demonstrated when you observe small children who have become excessively overtired and then throw a temper tantrum. Nothing you can offer to appease or pacify them has the least effect. They have retired into their egoic fortress from which they attempt to repel all invaders. When they have slept and recovered from their overwhelming tiredness they are once again the adorable beings that you recognize and delight in. But, as adults, you still retain that inner egoic fortress – although the majority of you no longer throw temper tantrums – to which you retreat when a situation overwhelms you. The divine Love field enveloping the planet is penetrating all those egoic fortresses, and for those who remain deeply asleep it is very unsettling indeed. Nevertheless, Love will embrace and then dissolve those stalwart fortifications behind which you have hidden yourselves for so long, and when that happens each of you will be amazed at the beautiful and enticing prospect that It displays before you. Love is your savior, your guiding Light, your ticket home to Reality. So embrace It — as It offers you “the Peace of God that passeth all understanding.” It is what you have all been seeking since the moment of apparent separation. Reach out and joyfully accept your Father’s loving embrace which is offered to you constantly in every moment of your eternal existence; discover that there is absolutely nothing more that you desire, and sink into that wondrously calm and soothing state as all your fears, worries, and anxieties just dissolve.